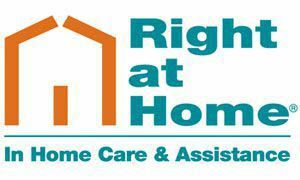 Right at Home is an in-home care and assistance agency, providing quality senior and disabled persons care since 1995. We provide trained, insured and bonded caregivers for a variety of caregiving needs. Whether it`s for extra assistance after a stay in the hospital, an aging parent who needs extra help or companionship to remain in their home, or as a respite for the family member who cares for an ailing loved one, Right at Home can help. Our home care services are flexible for your needs. We can provide care for as little as a few hours a day up to 24 hours a day, seven days a week. Our caregivers are tested and professionally trained through our exclusive Right at Home CERT Program (Caregiver Education Recognition & Training Program). We are proud to provide home care services to our clients. Please contact us today to speak with us about what we can do for you, your loved one or friend.